I’m texting back-and-forth with a student who is done with her class, her school, her education. There is much going on in this student’s life which colors her perspective on things right now. But do not miss the point that she feels her school is broken and she wants someone to fix it. ECE2SEAK brought together a room full of fixers. Teachers who get that students are the center of the classroom and know how to make that happen. In another life, it would have fired me up for the school year; as it is, I was pleased to be included in this group of educators knowing that deep down inside, I did belong in the room…even if I didn’t have a lot of current evidence of awesomeness to back that up. Blog more. Maybe even on a regular basis. Bring more accountability into Genius Hour through self-reflection, presentations, and other tangible, “gradable” products. And I’m drawing a blank for a #3 right now. Impact special education at the state level? Figure out what Personalized Learning looks like for a student with an IEP (which should be pretty personalized as it is)? Bolster student self-reflection opportunities and abilities? Read a book or three about anything extra extraordinary in education right now? Great ideas, but let’s be real: I’m giving myself a pass on having three next things. (Widows get to do that, by the way, do anything they want.) Managing the holiday/end-of-semester season will be a grand enough accomplishment. ECET2 Alaskan-style ended with a teacher telling us why she was there: she wanted a little change. A keynote speaker highlighted change, too: be the change. In sessions, we were asked, what one thing can you change and be fired up for on Monday? Reactive grief doesn’t let you fire up for change on Monday. Trying to look contemplative before Saturday’s sessions, not grouchy! The room and participants brought a buzz of excitement for their practices. I heard nothing I blatantly disagreed with, which is often the case at other training or conferences: I’ll listen to speakers and wonder, are we talking about NOW in the transformative age of technology? Or 1997. At ECET2, all the ideas were student-centered and embraced by teachers seeking to be better than the day before. The content refreshed and rejuvenated the crowd. Reactive grief doesn’t let you refresh or rejuvenate. One phrase used multiple times was that teachers have their own silos, and you teach in a silo. I smiled because my husband would say that every teacher – even myself – has her own fiefdom and woe to any who cross into her realm with intent to change her laws and challenge her power. We heard stories about other teachers who would probably never seek out an event like ECET2 and how this group of teacher-leaders has to interact with that other group. I wanted to shout out, especially to the special educators of whom I heard stories, how dare you let the system run the INDIVIDUALIZED plans you are supposed to have for students. Reactive grief doesn’t let you feel super confident about anything. ECET2 Southeast Alaska WAS an encouraging event: I saw “the spark” in colleagues I’ve known for years and those I met this weekend. My own practice was validated and revalidated, and I do have some ideas on how to make those practices better. I ordered three books to add to my stack and actually have the time to read them now being done with graduate school. Refining the art of teaching brought joy to so many people at the convening who will take that back to even more students throughout the region. Let me tie it back to students: you, even you rock star teachers, can deliver the most amazing lesson/module/task/option to a student but if something else is going on, say their ACEs are flaring up, it isn’t going to matter. Be compassionate and meet them where they are for the day. Then when they are ready, the amazing stuff will still be there for them. I am at #ecet2scak this weekend. It is a teacher-led conference, and the acronym stands for Elevating and Celebrating Effective Teaching and Teachers. In other words, rock star teachers come together to share what they do and build networks of awesomeness. It’s a nationwide thing created out of the desire to raise teachers up through the sharing of stories. Stories. I feel I’m at an (the?) entr’acte of my teaching. This convening, as they call it, is the last thing my husband knew would happen in my career, and the last thing that gave his encouragement and enthusiasm about me attending, since he was my #1 cheerleader. How does one do amazingly awesome teaching and learning when one’s #1 cheerleader isn’t around to soothe the doubts and provide counsel from a non-education perspective? How does the next part of the story unfold when written through the hole of grief? If I decide to figure it out, this blog might have another section dedicated just to holes of grief. But the reality is that grief is now part of my teaching whether I want it or not because it is part of me. To bring it back to teaching, how does a student get through the struggles of becoming a grown human without a cheerleader? What holes do students cleverly carry throughout the day, wanting to or not? What does the next act look hold for the students who drag trauma with them from class to class? How does one make it without one’s #1 Cheerleader? trauma (noun): a deeply distressing or disturbing experience. Trauma-informed teaching is a new term that represents what good teachers instinctively know: a child isn’t going to learn to the best of his or her ability if they are dealing or have dealt with trauma in their life. If a child lives in a home where there is violence and fear, her brain isn’t going to function at full capacity. A teen who stays awake all night to keep her abuser from coming into her bedroom yet again probably isn’t going to stay awake too well in class. Children who only eat food at school because there is nothing else are not going to have stellar Mondays. Good teachers know that learning will not be the most important thing in these students lives when survival is on the line. Great teachers will take the time to do something about it. What about the children whose father’s terminal prognosis from Stage IV Kidney Cancer came to pass a lot sooner than anyone expected? Living with a parent who has a chronic illness is stressful enough, and many families who have this prognosis do approach it as a chronic disease: something to manage. Priorities change, foci change, benchmarks for success change. Great teachers work with these students to individualize for their educational needs while also helping meet social and emotional needs. When the passing comes, though, children react differently depending on developmental stages. The seven-year-old takes everything seemingly in stride while feeling “a little bit sad” that her dad has died. The nine-year-old is angry, going through all of dad’s things, pushing the boundary of established rules yet trying to step up and be helpful around the house. The 14-year-old retreats into Netflix and laughs some of mom’s weak jokes about being a single homeowner and tries not to let the sadness overwhelm her by hanging out with a trusted friend or two. It isn’t just trauma-informed teaching we are doing. It is trauma-informed everything. Because their mom is also in the midst of a great trauma and things aren’t going to run as well with a sub in her classroom as it might otherwise. Her students are concerned and her colleagues are compassionate. We knew my husband’s kidney cancer would shorten his life but we most certainly did not expect it to be over on Labor Day 2018. Not when three weeks prior he had been healthy enough to travel back home from Seattle where he’d been doing treatment for six months, reconnect with his friends through visits, and transition to being a stay-at-home dad. We expected a few more years at least of this and us being a family of five with a dog. In twelve years of teaching at my school, we’ve only lost two parents and those were a while ago. Three students lost a parent over that weekend, nevermind their teacher mom. Great teachers do something about it. We love you, husband and dad. Thank you for taking care of us so well. What does a Texas girl do in the middle of the summer when the temperature soars to 100 degrees or more? Makes a fake winter, of course. All it takes is an A/C window unit and a good book that presents a setting far different than the sweltering sidewalk outside. The Long Winter by Laura Ingalls Wilder was perfect for curling up underneath the air conditioner in the front room (my sisters and I would actually fight over that spot, the only cool spot in the house). 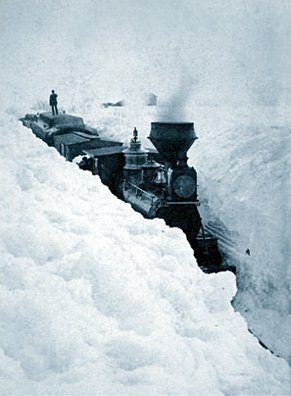 In the book, the teenage Laura and her family fight to stay warm during an excruciatingly bitter winter in the early 1880s. Quite the opposite set up of me trying to stay cool in Texas summer. Two images stay with me from that book. First, it was so cold, the nailheads in the attic always had frost on them in the morning. I can see little white circles in a line on the slanted roof! What kind of winter causes that? Brrrrr. The other is a scene where Ma decides that to have fuel for the fire, they would twist hay into sticks. And so they did…twist after twist after twist. My poor Texas mind could not wrap around such a scarcity of fuel, nevermind the cold that would require it. During my first graduate degree, I took a Children’s Literature class. Pretty much the only thing I remember the instructor specifically say to me was about this book. “You should read it as an adult,” she said. Having lived on the North Slope of Alaska, now I do know what a long winter is like and yes, that book is a different read. But it will always take me back to summers in Texas. Red Zone or Bottom of the 9th? I’ll admit, I don’t often use sports metaphors. I do love baseball and football, but they don’t encompass my being. Our school is a basketball school and I don’t know as much about the sport as I should after a decade plus. Certainly not enough to use basketball-based imagery. But here I am: one (big) assignment away from submitting all work required for my M.Ed in Education Leadership. And clearly procrastinating it while I decide which phrase to use the rest of the night. Red Zone: this is the last 20 yards before a touchdown. It makes me think of offensive plays, though the defense also has red zone stats. (Actually, is it really a thing other than the TV graphics and commentators? Like I said, fan, not fanatic.) The team wants to convert the red zone field position into a score, preferably a touchdown. Bottom of the 9th: this is clearly an offensive term since there is no bottom of the 9th if the home team is winning. The visiting team is on the offensive (as the defense) to keep the ball off the field, out of the stands, off the scoreboard. The home team is actually playing offense, looking to advance runners and win the game. Friends, I think I’m in the bottom of the 9th here. Perhaps down by three with one out left but the bases are loaded and the clean-up hitter is at bat. Full-count then the sweetest, juiciest pitch ever slips from the pitcher and there it goes. Root for the home team grand slamming away. What a dramatic metaphor…if you’re into baseball. The good news is that the situation isn’t quite two-out, full-count drama. More like a single runner on base and all the outs left to use in a one-run game. And possibly extra innings because of the extension I received because my husband’s cancer decided to throw down, charge the mound, and delay the game for a bit. A crook of the elbow. A shuffle of the feet.